The rumor last week was that Google (as well as Verisign and IBM) were mulling over the idea of joining the OpenID 2.0 single sign-on framework. 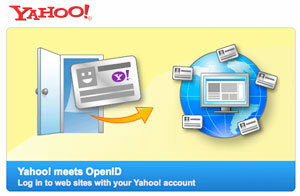 But the real news comes today, as Yahoo and its roughly 250 million user IDs officially jump on the bandwagon. Today, there are only approximately 120 million valid OpenID accounts. In one move, Yahoo more than triples that number. The service will be available in public beta on January 30, says Yahoo, and will allow users to log in to more than 9,000 OpenId compliant websites with their Yahoo IDs. Yahoo will also be integrating their Sign-In Seal feature, meaning users can view an uploaded image before giving over credentials – the feature is widely used by financial institutions and is designed to reduce the effectiveness of phishing attempts. 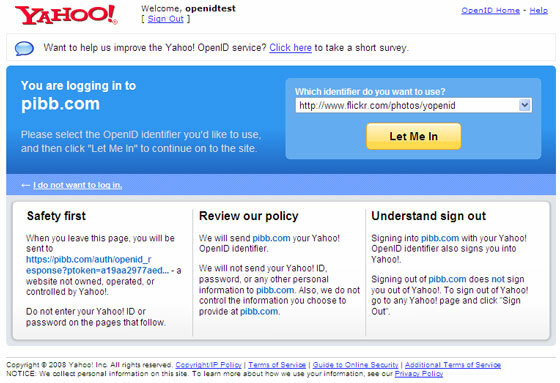 Yahoo is also announcing that both Plaxo and JanRain will allow Yahoo OpenID sign-ins from January 30. “This is just the first step in working with OpenID,” Yahoo Director of Membership and Registration Raj Mata said to me on a phone interview yesterday. But he would not confirm when (or if) Yahoo would also become what is called a “relying party” (allowing users with third party OpenIDs to log in to Yahoo). He did say that the goal was to move in that direction, but gave no further guidance. 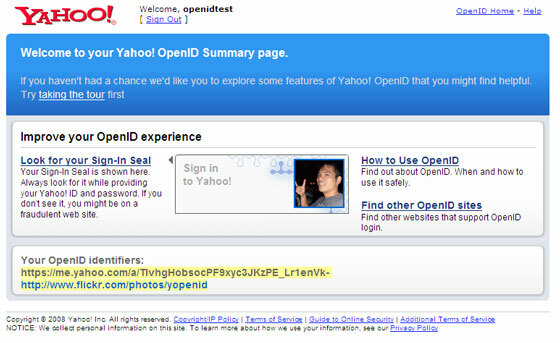 More information can be found at openid.yahoo.com. Screen shots are below.